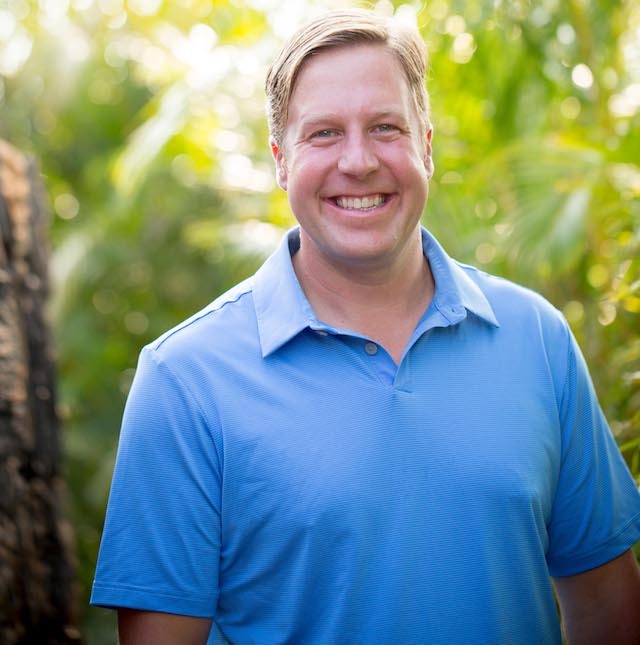 WALLA WALLA, Wash. – The Haladay family started a new chapter at historic Walla Walla Vintners on Monday when they brought in Derrek Vipond to take over as head winemaker. Vipond, 34, left his job as assistant winemaker at Long Shadows Vintners to step into the lead role that has belonged to William vonMetzger for a decade. 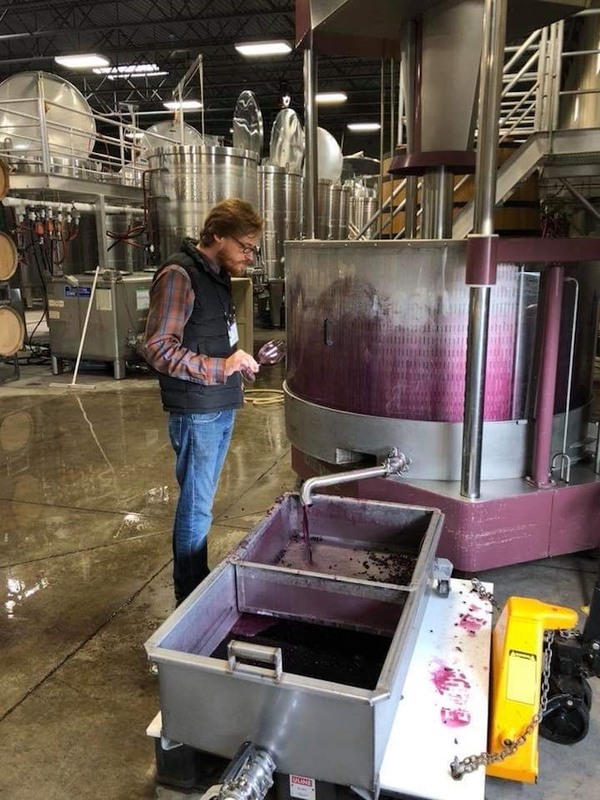 If results from the 2019 San Francisco Chronicle Wine Competition are an indication, Scott Haladay’s cellar is in superb condition as Walla Walla Vintners earned two best-of-class awards and a pair of gold medals. 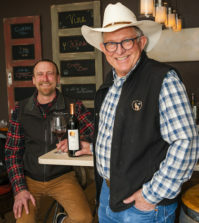 In 2016, Wine Press Northwest magazine named Walla Walla Vintners as its Pacific Northwest Winery of the Year, two decades after founders Myles Anderson and Gordy Venneri established Walla Walla Vintners as just the eighth winery in the Walla Walla Valley. There are now more than 140 wineries in Walla Walla Valley. The scale of Vipond’s cellar work changed Monday with his move to Walla Walla Vintners. Now, he will be in command of 8,000 cases each year, and while he will be responsible for considerably less wine than his previous two jobs, expectations and attention are ratcheted up. “When I was at Columbia (Winery) working for Gallo, we were crushing 6,000 tons, and when I went to Long Shadows we were doing 600 tons,” Vipond said. For the Haladays, Vipond will bring in about 130 tons this fall. Monday marked the latest in a series of changes made by Haladay and his father, Jay, a titan of Portland’s tech industry, since acquiring control of Walla Walla Vintners from Anderson and Venneri in the winter of 2017. Anderson’s involvement ended with the celebrated purchase – announced Feb. 21 – while Venneri’s role as co-owner ended in retirement several months later. Along the way, the Haladays remodeled the tasting room and refreshed the brand, launching a gold “V” across the bottles of their young estate wines. The red barn still appears on all others. Outsiders wondered how long vonMetzger would continue at Walla Walla Vintners without Anderson and Venneri. Haladay first contacted Vipond about taking over at Walla Walla Vintners in early December. Haladay’s statement included that “vonMetzger is leaving to pursue new opportunities,” but both ownership and the new winemaker said vonMetzger will remain involved in the short-term. “He’s here, and he’s going to work through the next couple of months and stay on in a consulting role during the transition as we move forward,” Vipond said. Perhaps it’s not ironic that vonMetzger will be sharing his insight with another graduate of Walla Walla Community College’s vaunted viticulture and enology program. 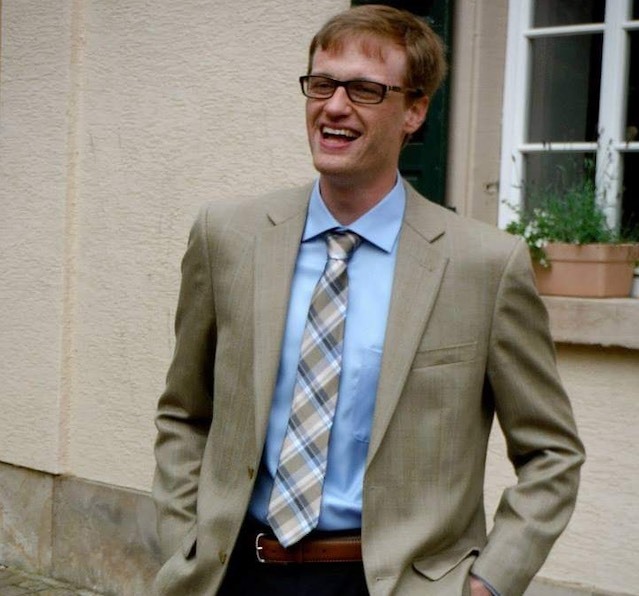 One of Anderson’s top students at the college program he started, vonMetzger moved over to Walla Walla Vintners in 2004. In 2007, Vipond took his two-year degree from WWCC to Oregon State University’s fermentation program. Vipond didn’t need any help with directions to the iconic red-roofed barn having worked along Mill Creek Road at cult producer Abeja as an intern. He wisely followed through on a pair of tips he received from then-winemaker John Abbott. 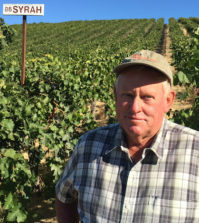 Vipond already is rather familiar with some of Walla Walla Vintners’ top sites, sources such as Sagemoor Farms’ Bacchus, Dionysus and Weinbau vineyards as well as Kiona’s plantings across Red Mountain – sites he worked with at Long Shadows where he marveled at the wizardry and whimsy of Gilles Nicault. 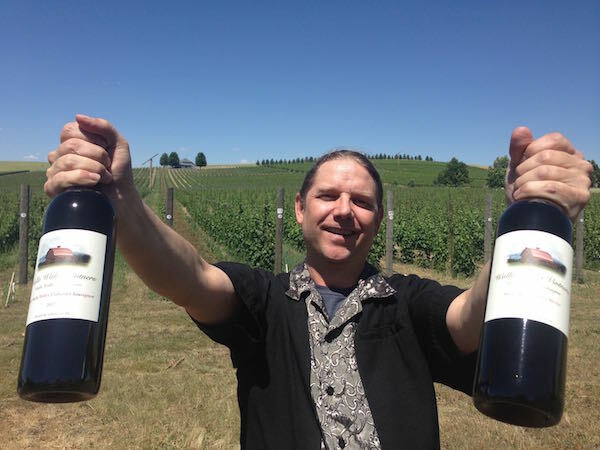 He’ll particularly miss working on the Poet’s Leap Riesling and the Côte Nicault GSM programs – categories that are not on the board at Walla Walla Vintners. But it won’t be long until folks beyond the Walla Walla Vintners club members learn of Vipond’s ability. 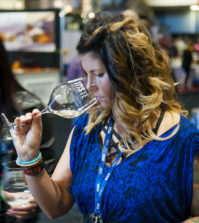 Heather Nenow, who led Sean Hails’ winemaking team at Columbia Winery, cheered the news of Vipond’s new post in an email. “He really is a talented guy and will do well in the new role,” wrote Nenow, now a winemaking consultant and contract winemaker living in Southeast Asia when not working in either New Zealand or Napa. There will be just a couple of people on Vipond’s production team. Across town at Long Shadows, the production staff stood at eight. At Columbia, there were close to a dozen. Vipond and his parents in Puyallup already had a sense for the delicious history of Walla Walla Vintners, and for much of Washington, thanks to the cellar that Vipond figures his father has built up to 2,500 bottles. On Monday, Vipond said he was just beginning to go through the barrels cared for by vonMetzger. “As I look back, Bill’s key contribution over time was driving consistency,” Haladay told Great Northwest Wine via email. “That is the key descriptor that we hear from customers over and over. Haladay plans to continue to grow interest in the brand beyond Washington. Vipond said he looks forward to moving into a more public role. 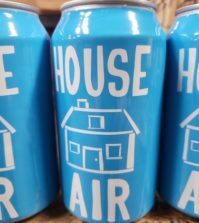 “I don’t have the full breath of the knowledge because I’ve always been the assistant who is in the box making things happen by taking the winemaker’s vision and turning it into production,” said Vipond, who spent summers as a teen warehouse worker at his family’s Girard Wood Products in Puyallup. “But I look forward to being identified with the brand and helping to sell it as we go forward. “My mother grew up in a family of 12, so there are plenty of us – more than 75 people just in the immediately family. I’m used to speaking in front of large crowds,” he chuckled. And it would seem Vipond plans on sinking deep roots into the Walla Walla Valley. His newlywed bride, Katie Regnier, is the wine club manager at vaunted Pepper Bridge Winery. They first met – ironically – as students in the winemaking program Anderson created. Two years ago, they bought a home in Walla Walla just as he transitioned from Columbia to Long Shadows. They married last summer. This winter, they celebrated Vipond’s new job with dinner at Saffron Mediterranean Kitchen in downtown Walla Walla. “We had a bottle of the 2001 Milestone from Red Willow Vineyard,” Vipond said. “It was actually in its prime time, right in its window. One of the special things about working at Columbia was they have a pretty extensive library of David Lake wines, and we had access to that.